Suckers Create Smiles on Kids Faces, but needless sticky hands are not appreciated. I learned a few lessons in making suckers. It all started with a simple recipe of sugar and corn syrup that I remembered using as a kid. After making the sugar mixture and pouring them into my molds (8H-4968, 8H-4244, 8H-4958 and 8H-3294) I smiled because they initially looked beautiful! They popped out of their molds bu t they were very sticky. 24 hours later we noticed they were dripping. Ugh! This is not what I was hoping for. To save I could dust them with powdered sugar but that would lose their clear color I wanted to preserve. 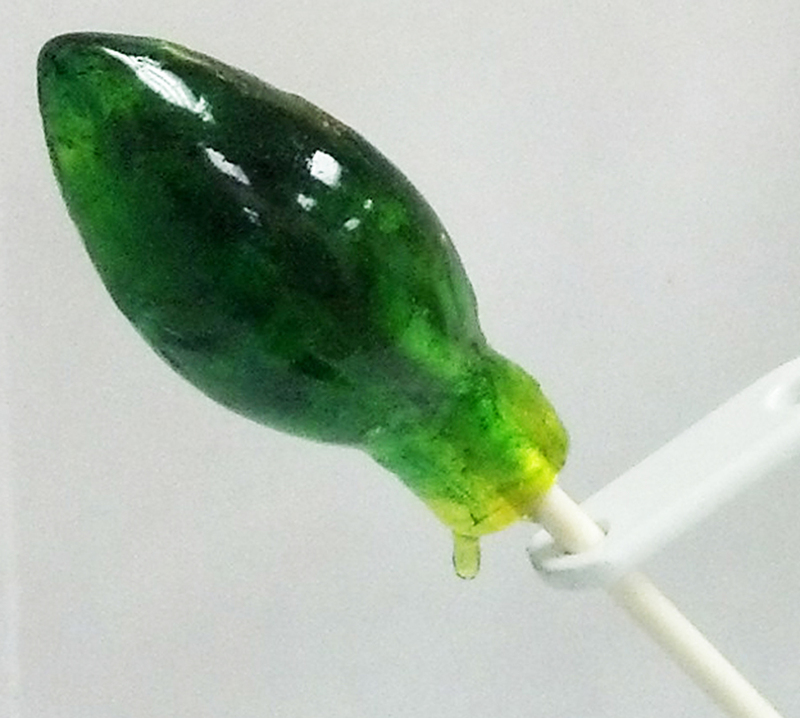 After talking with those who have more experience (including our quality control personnel), I learned that Isomalt Nibs (I used Green 76-86004 and Purple 76-8607) are much easier, quicker and less messy. The end results were what I was looking for. The Nibs melted in the microwave heated in 15 second intervals. 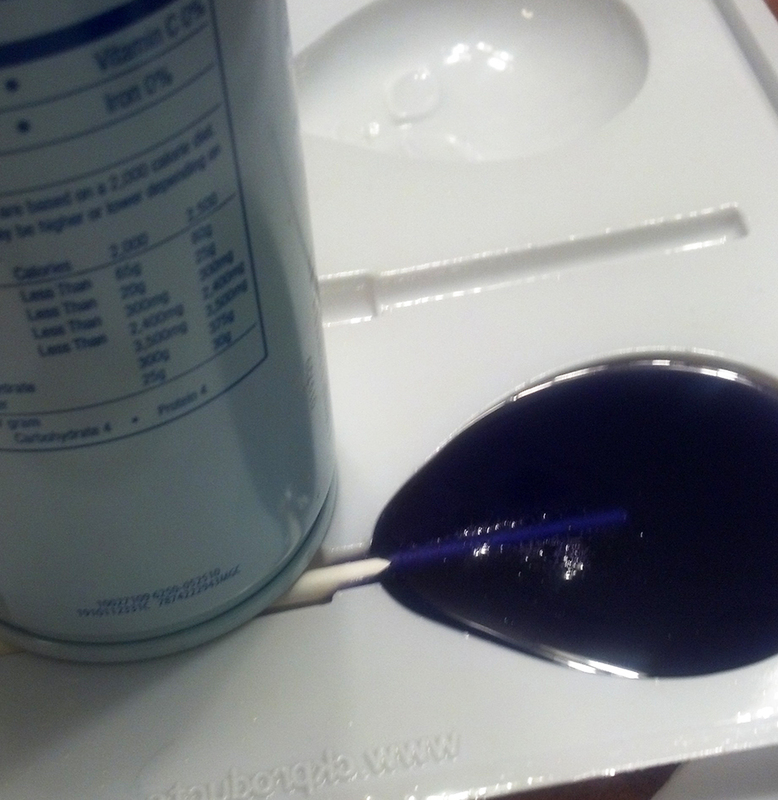 Once melted, I added the flavoring and poured the mixture into my lightly greased molds. These are not very sweet, but they are beautiful. Additional benefits to the Isomalt Nibs are the consistency in the clarity of the color. I also read that keeping the hard candy in a dry container helps keep the suckers from getting sticky. 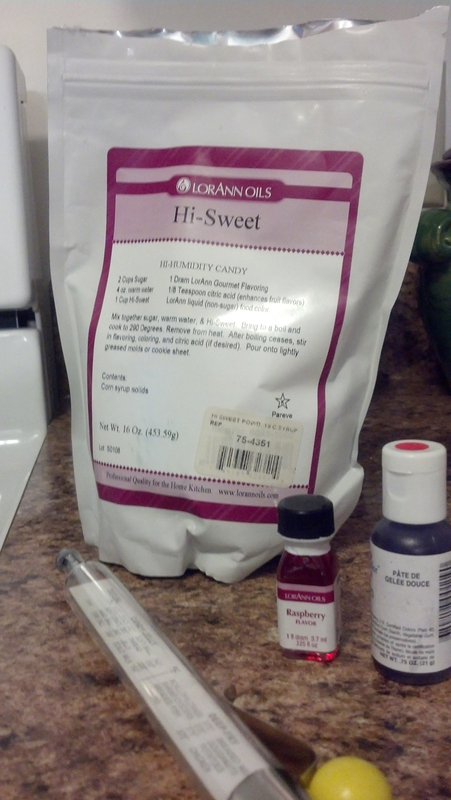 The next product I tried was the Hi-Sweet Powdered Corn Syrup (75-4351) with LorAnn’s Raspberry flavoring (42-2160.) This gave me the sweetness I desired and the final result was not as sticky as the straight corn syrup. After a night in the ziplock bag with wax paper between them the suckers were sticky free. 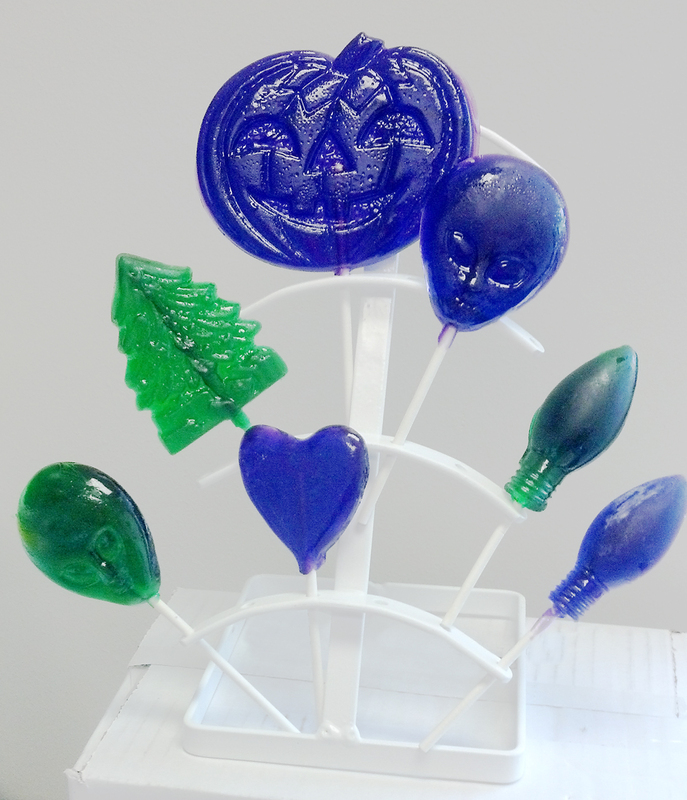 Other mistakes I made – Not putting the sticks in the red raspberry alien heads pictured above and over filling the mold of my light bulb. 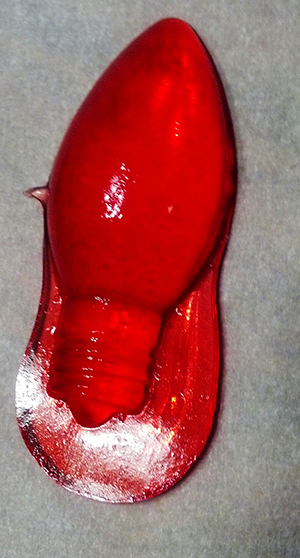 The light bulbs (8h-4968) are at 3d mold that have 2 halves “glued” together with your sugar mixture. There are many other ways to make suckers. 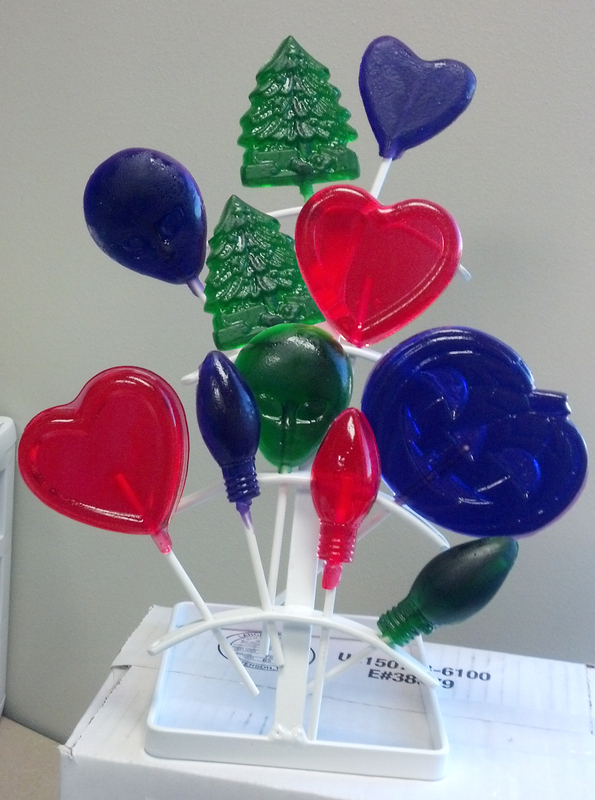 Some are using the CK Products Hard Candy Mix (75-4301) or LorAnn Hard Candy Mix (75-4210). LorAnn also has a Sugar Free mix (75-4215.) Hmmm maybe my road to making the perfect sucker is not over quite yet. At this point I will stop with these as I have more than enough to eat.